Alexandria, LA is sited on the banks of the Red River, at the geographic midpoint of Louisiana, where numerous north-south highways and rail lines converge and radiate outward in a classic hub-and-spoke array. Despite its central location, this small city of 50,000 – founded in 1818 – has struggled in recent decades to reposition its economy, as its river commerce dwindled, forestry-sector activities declined and England AFB became a casualty of the federal government’s Base Realignment and Closure process. Most recently, this already medically-underserved region braced itself for further hardships, given the planned closure of the state-run Huey P. Long Charity Hospital for the indigent. In this context, the recently-completed Central Louisiana Surgical Hospital found itself financially stranded, as Alexandria’s struggling economy seriously challenged this new enterprise. CLASH represented a multi-million dollar investment within a severely disadvantaged census tract buckling under a 50.6% poverty rate. Crescent Growth Capital was enlisted to structure an $18 million NMTC financing to save over 150 badly-needed jobs and, by stabilizing the facility’s operations, lay the groundwork for future growth in services and employment levels. The NMTC subsidy permitted the purchase of the state-of-the-art equipment CLASH had been leasing at great cost, significantly lowering operating expenses and ensuring the future of this important facility. The subsidy also provided permanent takeout financing of CLASH’s short-term construction loan. The NMTC transaction executed by CGC on behalf of CLASH also decisively advanced a key economic development goal of the city: furthering Alexandria’s emergence as a regional medical hub. However, with Louisiana phasing out its longstanding system of state-run charity hospitals for the poor, Alexandria’s medical sector ambitions are at risk. CLASH’s shuttering would have marked a crippling setback, compounding the after-effects of the Long Hospital closure and further eroding already-slumping business confidence. Conversely, the operational stabilization of CLASH will help counteract failing local business confidence, reinforce regional economic development efforts, and save numerous jobs. On the eve of the NMTC financing, 157 jobs were sited at the CLASH facility, including over 100 physicians. With the facility’s employment profile including both high-paying physician jobs and more entry-level support staff, the mixture afforded real employment opportunity to the surrounding low-income community and generated – by supporting the spending within the Alexandria market of dozens of well-paid medical specialists – a good slice of total aggregate demand for the area, catalyzing appreciable indirect job creation. The impact of stabilizing the new CLASH facility is not only limited to guaranteeing the continued operation of one of Alexandria’s largest employment centers. From its inception, CLASH has taken particular pride in providing high-quality care to patients from the low-income community in which the facility is located, as well as to the surrounding rural communities in which many of the physicians and staff were raised. 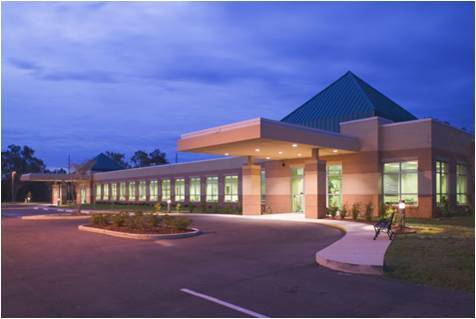 Already nearly 1 in 5 of CLASH’s patients were impoverished Medicaid recipients – a remarkable statistic for a specialty surgical hospital – and the provision of world-class surgical care to all of largely-rural central Louisiana continues to be a principal objective of the new facility. Desirous of fulfilling both the spirit and the letter of the NMTC program – and with the Long Charity Hospital threatened – CLASH also committed to using the NMTC funding to support a program of subsidized care for the indigent.